I don’t know about anyone else, but personally I think I’ve lost interest in BLEACH over the pass 6 months or so. Perhaps it’s seen its time, or perhaps the damn fillers that keep popping up annoy me. 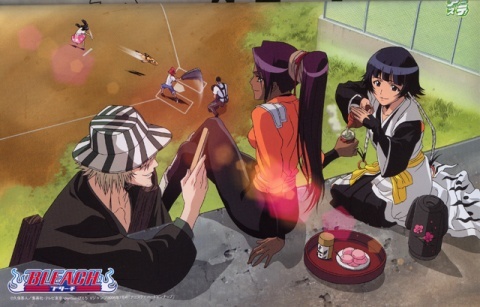 What happened to the good old days when BLEACH was the best show to grace my weekly anime marathon. Now a days I’ve about 10 episodes behind, and every time I watch it, it’ll make some progression, but then fall into random fillers, which just make the show crap. I haven’t read the manga in a while, so I hope there’s progression in there. The part where I stopped involved a massive load of fighting, and the Ichigo crew was still trying to save Inoue in Hueco Mundo. I’ve got about 15 or so chapters before I’m caught up. Regardless, I hope BLEACH anime will pick up soon and won’t feel like a drag.